That's $50 worth of Neutrogena products! Want to read about the Neutrogena Microdermabrasion System? Check out my review! 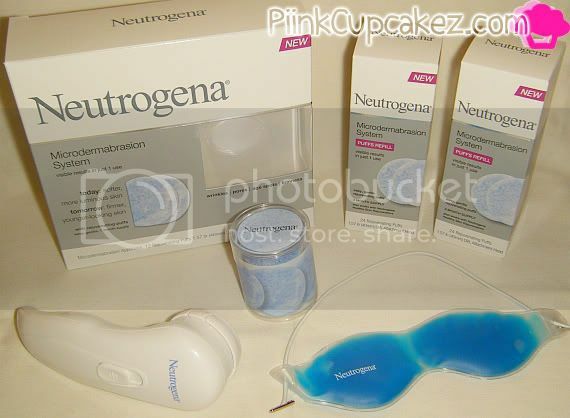 "RT @PiinkCupcakez Enter for your chance to win a Neutrogena Microdermabrasion Kit! http://www.PiinkCupcakez.com"
Hi I'm new to your blog. I want to try this Neutrogena system for my skin. Thanks for sharing! I will be posting a post about this on my blog. Im a follower for google connect. I dont have fb or twitter so i cant follow you on there if not i would. Hi , thank you for the giveaway !!! Thanks again for the giveaway !